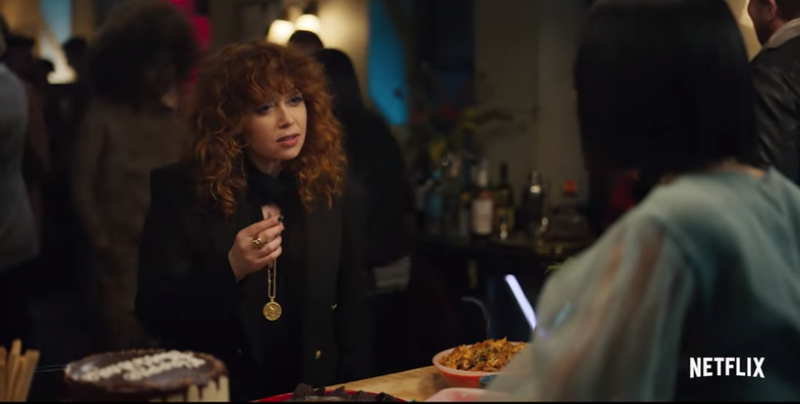 Speaking of Groundhog Day, has anyone caught Amy Poehler, Leslye Headland and Natasha Lyonne's new series Russian Doll that just hit Netflix? 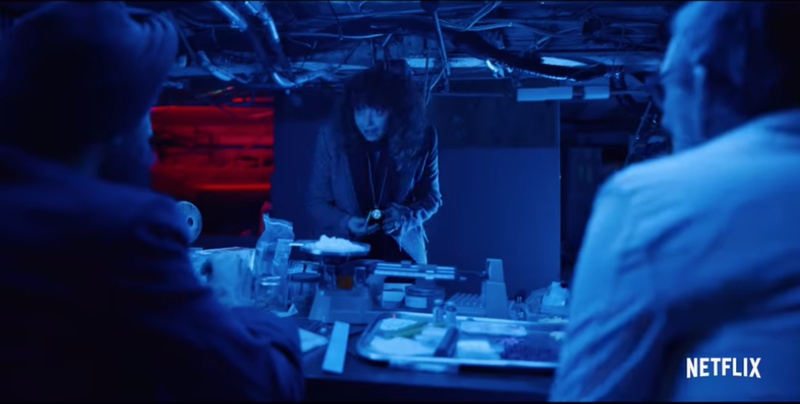 It's about a young woman, Nadia, played by Natasha (of Orange Is the New Black fame), who's caught in a loop and keeps dying and waking up at the same party, day after day. After all, time can be a real trip these days. Monday can feel like Thursday, January can feel like half the year has gone by already, and tomorrow somehow feels like just yesterday. 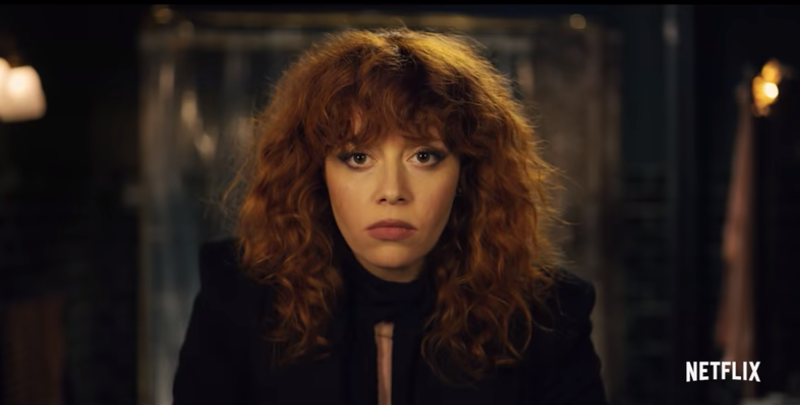 Fan reviews of the show claim that Russian Doll does the perfect job of engrossing viewers into this strange time loop — it got an unthinkable 100 percent on Rotten Tomatoes, after all — and showing us, through an impeccable performance by Natasha, what it means to be alive. It all begins on the day of Nadia's 36th birthday, when she's celebrating with her friends in a Lower East Side loft party. She goes through the motions, chit-chats with different people, and eventually hooks up with an academic. Then she hits up a bodega (normal enough) and looks for her missing cat, which takes her back out onto the streets of New York, where she's struck by a taxi. She dies, only to wake up right back in the bathroom of her birthday party, totally beside herself and seemingly immortal. According the The New York Times, viewers might be tempted to make Groundhog Day comparison — especially because it premieres the day before Groundhog Day ("wink, wink"). But the newspaper says Russian Doll goes way deeper than Bill Murray and the folks at Columbia Pictures ever did. 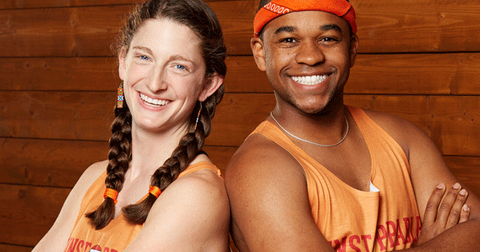 "It's the way the series twists and complicates the premise that makes it much more than a copycat," they write. People are also saying it's the best performance Natasha has given in years. Which is a huge claim to make, if anyone has recently caught Orange Is the New Black, or some of her earlier blow-out performances in But, I'm a Cheerleader or Slums of Beverly Hills. Vulture calls Natasha's "proudly dominating physical presence" an important part of what makes the show work so well. "The story is constructed as an unmistakable middle finger to the idea that any man could ever hold a candle to her," they write. 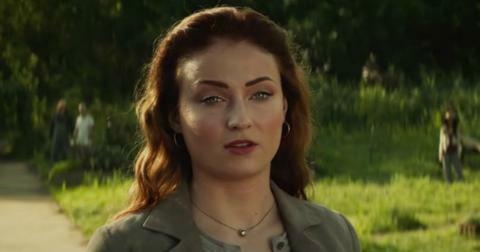 Others are saying that although Natasha plays a character who's very much like her real-life persona, "It doesn't make her portrayal of Nadia any less vibrant, or less fun to watch." Seriously, who wouldn't want to watch Natasha play herself? Remember "Bandersnatch" and how trippy of a Black Mirror episode that was? 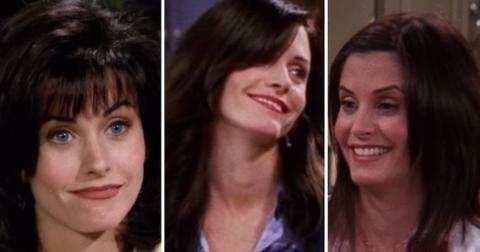 People are saying viewers might recognize a parallel between both of the Netflix shows. Both are about game programmers, and "Bandersnatch" invited viewers to send the character down different paths, many of which left him dead and required viewers to start over. 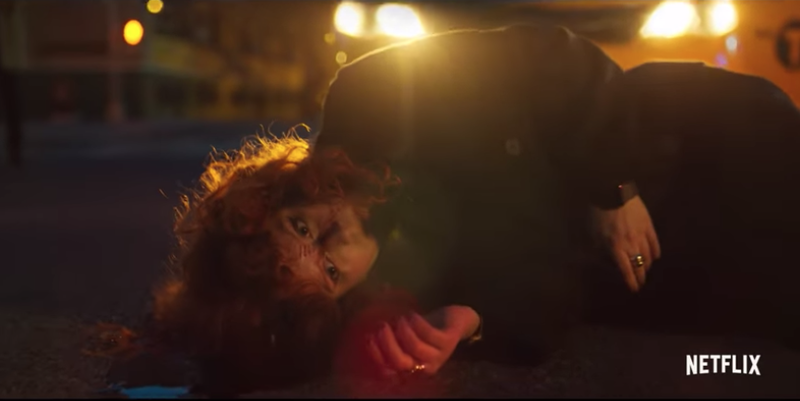 Russian Doll, on the other hand, is a linear story. But according to reviews, it actually gives viewers a greater sense of possibility and variety than the choose-your-own-adventure show. It not only allows fans to try again from the protagonist's perspective, but also acknowledges that the other characters of Nadia's story have free will and are capable of changing their own paths, as well. 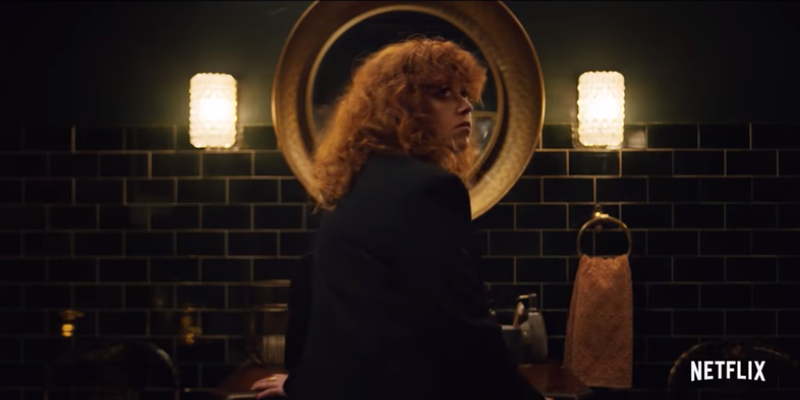 Because if "Bandersnatch" was one way to show a time-loop story, Russian Doll promises to be way more sophisticated. As it proceeds, the series gets more and more ambitious and complicated, in a way that's super satisfying to watch. "Some of Nadia's loops are stranger than others," writes The Atlantic. "But watching her repeat herself, watching her survive, is generally more thrilling than you might have ever imagined." And it's not just about watching her do the same things over and over again. The interesting part about this show is watching how Nadia gains knowledge about herself, her past, and her relationships in the process. We kind of wish we all had the ability to see ourselves with that kind of hindsight. "What is a Russian doll, after all," writes TIME, "if not an invitation to delve beneath the surface?" In essence, it's a feminist masterpiece that showcases women behind and in front of the camera. It shows the protagonist as imperfect and messed up, who needs to examine herself and her actions, but not in a way that sacrifices her intelligence, wit, or is meant to gain her the love of a man. 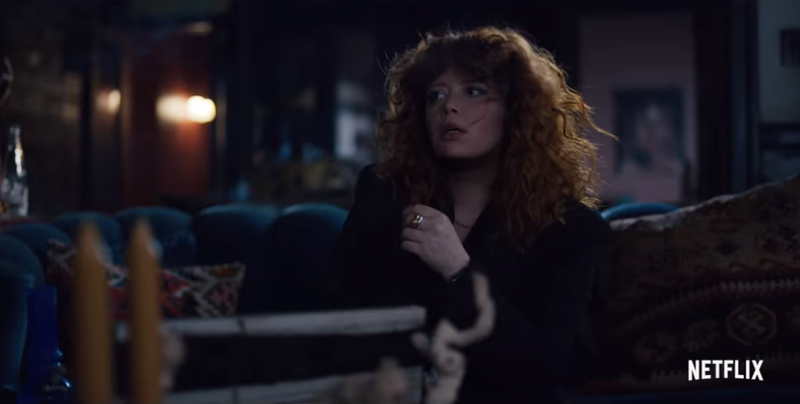 Fans of Russian Doll are hoping the 8-episode series never gets renewed, because people are thinking it's absolutely perfect as is. 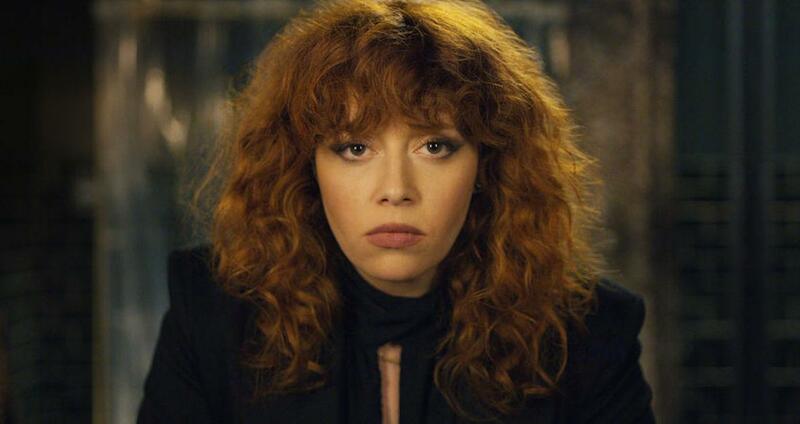 Don't miss Russian Doll, out in its entirety now on Netflix.